Grit, Motivation, Passion, Focus, Teamwork, Resilience, Tenacity. 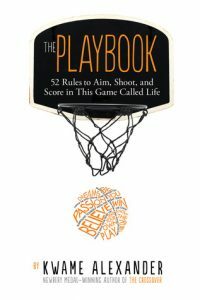 These are the tenets that Newbery Award winner Kwame Alexander outlines in The Playbook: 52 Rules to Aim, Shoot, and Score in This Game Called Life. The characters in the three sports novels recommended here exhibit all that and more. 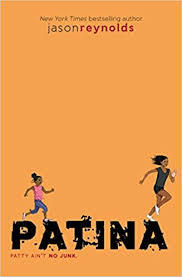 In Patina, Jason Reynolds continues the story that began with Ghost, of tenacious Patty and the motley group of runners who win on the the track but struggle in their lives. 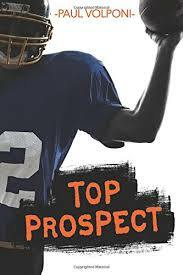 Top Prospect, by veteran sports writer Paul Volponi, tells the story of a resilient boy pressured way too early to be the quarterback his older brother is, partly based on the true stories of young athletes who are promised college scholarships before they even hit high school. Passionate Tessa, in Thatcher Heldring’s The Football Girl, is an exceptional athlete who loves the game too much to let it go, even at the risk of disappointing her friends and family. These stories, along with Alexander’s sage advice, will be winners with reluctant readers of all shapes, sizes and athletic skills. While traditional playbooks guide athletes in strategies for winning on the scoreboard, Alexander’s release, The Playbook, has 52 rules for enriching the game of life. This uplifting rendition contains anecdotes from some of the world’s most influential athletes, leaders, and poets. LeBron James, Michelle Obama, Nelson Mandela, Serena Williams, and many more are included. A diverse selection of thought-provoking, practical narratives includes quotes and photographs that embrace a variety of sports, gender, race, and compelling individuals. Alexander himself shares encouraging stories about overcoming obstacles while struggling in football and basketball as a teen, before his persistence culminated in finding his niche and success in tennis. The unconventional layout of the book grabs attention in many ways, starting with the cover. The title is on the backboard of a basketball hoop, above a concrete poem that forms a basketball image. This makes potential readers look twice to see what the ball is made of. The end papers of the book consist of textured orange paper resembling the dots on a basketball, and are complemented by the bright orange edges on all pages of the book. The 52 rules are representative of the number of weeks in a year. These rules are then divided into accessible quarters like a real game, with themes such as Grit or Motivation for each subsequent quarter. 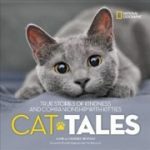 Each section defines its theme and includes encouraging stories, quotes, and photographs of the many successful people highlighted within, making it appropriate both for browsing or a straight through read. Teens will identify with the challenges faced by many of their idols. The positive message of sportsmanship, focus, and tenacity will raise the spirits of readers, and the fascinating anecdotal verses from icons will keep them engaged. Readers of inspirational sports fiction by authors including Carl Deuker and Paul Volponi will devour this book. Likewise, fans of captivating sports biographies such as Courage to Soar: A Body in Motion, A Life in Balance by Simone Biles and Mary Lou Retton, and Rising Above: How 11 Athletes Overcame Challenges in Their Youth to Become Stars by Gregory Zuckerman will find common ground. This next leg of the Track series picks up in book two where Ghost left off, this time from Patina’s point of view. Readers quickly gain insight into Patty’s world and the pressure she puts upon herself to come in first and to do everything she can for her family. With a dead father and a mother who lost her legs to diabetes, Patty and her little sister, Maddy, are taken in by their Dad’s brother, Uncle Tony, and his wife. The vibrant orange cover catches the eye, with the title at the bottom and Patina and Maddy running…a clear partner to the Ghost cover in this series. Readers get off to a fast start, literally, as Ghost and Patty run their perspective races. The first chapter quickly evolves from Patty racing at the track to rushing to braid her little sister’s hair for their weekly visit with Ma for church. Her mental to do list is weighty: make sure Maddy is bathed, dressed, fed…EVERYTHING. Patty’s competitive spirit to be first in races illustrates a metaphor for her life… that she must run for her mother who can’t anymore, and give impeccable care to her sister as a surrogate mother of sorts. When coach picks up on this, he works with Patty on developing her teamwork skills. The banter-filled sessions with coach and her teammates is amusing and lends hope that Patty can depend on others to help her carry the load, both in track and in life. Likeable and authentic culturally diverse characters open this book up to a broad range of readers. 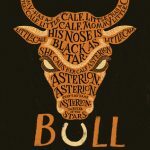 Although technically a middle-grade book, teens and adults will also identify with some challenges the characters face and enjoy the humor. Fans of book one in the series, Ghost, are ideal readers. Additionally, those who enjoyed Roller Girl by Victoria Jamieson will appreciate the spunky female protagonist. Biographies of African-American track stars such as Flo-Jo, Wilma Rudolph, Jesse Owens, and Usain Bolt will likely also have reciprocal appeal for devotees of the Track series. Football phenom Travis Gardner has a lot of promise for an eighth grader. It’s not surprising since his older brother, Carter is playing on a football scholarship for Gainseville College. At one of Carter’s practices, Travis leaves the stands and enters the field as a participant rather than a bystander. Coach Elvis Goddard is a legend at Gainesville, so Travis’s impromptu decision to help throw to one of the team members has huge consequences. Good consequences. Dreams-coming-true kinds of consequences. Rules prevent Coach Goddard from offering Travis a scholarship outright, but do not keep Coach G from tendering an informal promise of a scholarship, and that changes the trajectory of Travis’s high school football career. As Travis moves into high school he not only feels the pressures to perform at a higher level, he is driven into team leadership much earlier than he might otherwise have been. Life as a prodigy exposes him to the allure of booster member gifts as well as the pressures to push the envelope with injuries and medications. Volponi’s break-neck pace pulls readers into the whirlwind of emotions from the prologue that sets up Travis’s love of the game of football to the introductory chapter that sets up Coach Goddard’s credentials and the sibling rivalry between the Gardner brothers. 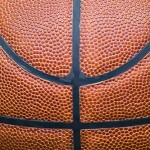 As with any good book, this story transcends the issue of sports. It’s also a story about brothers, and families without fathers, and hard work, and passion for a game. The seamy underbelly of college sports politics is exposed as Volponi ratchets up the stress and pressure placed on talented young athletes. The Afterword places the entire story in context, and discusses the parallels between this story and the lived experiences of at least three other football players. Volponi goes on to point out that football is not the only sport in which this issue is present. I had no idea that women’s soccer is an arena that has also historically recruited young players. Fans of Carl Deuker and Volponi’s other sports titles will find this short, but packed, story enough to whet their appetites. Tessa and Caleb have been friends forever, sharing a love of sports – especially football. The summer before freshman year of high school, with Caleb on track to be the star quarterback that his older brother was, something changes with their relationship – what started as friendship becomes romance. Tessa and her girlfriends are in training for the cross-country team, but Tessa also plays flag football on a team with Caleb. 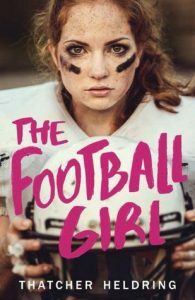 When their team loses their final game of the season, Tessa knows she can’t end her football career with a loss. Against all advice and without support of her family and friends, she decides to attend the high school football camp and go out for the team. Sports novels for girls used to be an oxymoron, but increasingly, as girls play traditional boys’ sports more and more, teen literature is addressing that void. Tessa’s fight for the right to play the sport she loves is timely and will resonate with girls who think and live outside of the box and with the friends who choose to stand by them or not. She and Caleb are honest and authentic characters who are very relatable and not at all perfect. The fact that Tessa’s mother is at the time running for mayor of the town and doesn’t appreciate the distraction her daughter has created throws a subplot of familial discord that many teens understand. This title is fast-paced and engaging, with a little bit of suspense – will Caleb support her? Will she make the team? All in all a satisfying read reminiscent of the Dairy Queen series by Catherine Gilbert Murdock, and The Girl Who Threw Butterflies by Mick Cochrane.